The best part about running is completing a race—for me, anyhow. It’s a huge sense of accomplishment, after all of that training, to cross the finish line. Throw in some post-race festivities and that’s a winning combination. Which is just one reason why you should also do the Ultra Night Run. It’s the first year of the Ultra Night Run so you can forever brag about how you took part in the inaugural one. 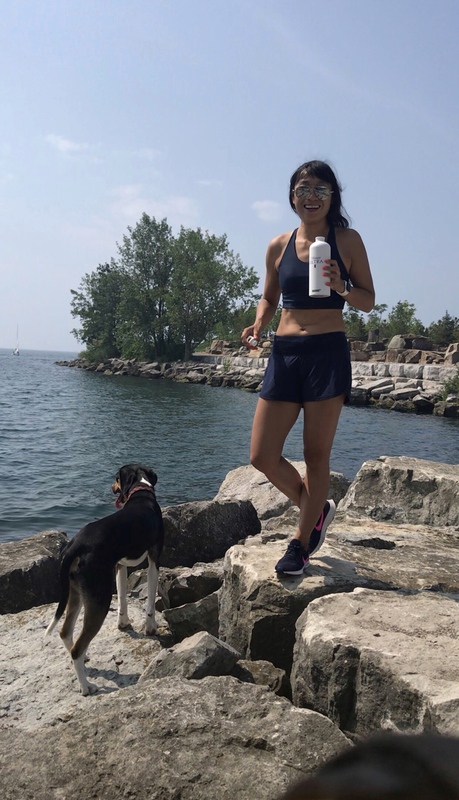 The race is happening in six cities across Canada including Toronto (where I’ll be taking part on September 8th), Vancouver, Calgary, Edmonton, Ottawa and Montreal. Find out about each city’s race here. There’s a 5k and a 10k distance. So you’ve got options. Maybe one of those is your preferred race distance, or maybe you’re new to running and want to stick to a 5k distance to get your feet wet. It’s a night run. These are more rare and hey, you don’t have to get up at 4 or 5 a.m. like you do for most races. The temperature will cool for the evening, and running at night is a different experience. Every runner will get an Energizer LED headlight you must wear for safety (but that’ll add to the fun of racing the course in the dark). It’s a chip-timed race. OK, now I know this race will definitely be more on the fun side rather than nail-a-PB type of race, but if you’ve got a personally competitive streak like I do, you know how important a race being chipped is! Did I mention the post-race celebration? After the race, you’ll get an ice-cold Michelob Ultra to toast with the other runners, along with some food and music. Picture a beautiful early fall evening, you’ve all got a runner’s high from the race you just completed and you have a refreshing beer in hand. Maybe getting to that party will push you to run even faster? Sounds like a pretty perfect way to party after a great workout (Bonus: Ultra is only 90 calories and 2.6 grams of carbs!). That’s what #liveultra is all about. I’ll be there, headlight on and ready to light up the night. See you at the start line! To register (all runners must be legal drinking age, btw) or for more info, visit Ultra Night Run. Don’t wait too long to register, though, as the number of participants is capped in each city! *THIS GIVEAWAY IS NOW CLOSED. The winners have been randomly selected — scroll down to see if you’ve won! With summer officially here (hooray! ), I’m regularly stocking up on bevvies for hot nights and weekend BBQs. One of my favourite new ways to cool off: sipping the new Growers Pear Cider. It’s juicy and refreshing, and let’s get real: some days you don’t want to fuss with a shaker to make a cocktail (or am I the only lazy one when it comes to making drinks!?. Popping open a can of Growers Pear gives you more time to laze around on the dock and laugh with your friends. And because I want you to be able to get in on this delicious Growers Pear action, too, I’ve partnered with them to hold a giveaway (it’s open only to Ontario residents, sorry, non-Ontarians!). The summer essentials prize is valued at $100 and includes a $50 prepaid Mastercard giftcard, sunglasses, a trucker hat, a bottle opener and more, and I’ve got a total of three of these prize packs to give away. Email: Write me at healthandswellness@gmail.com with your name and mailing address (it just makes it quicker for us to send you the prize if you provide me with your address off the bat). Please put “Growers Pear” in the email’s subject line. Instagram: Follow @healthandswellness and @growerscider on Instagram; like my Instagram post for this giveaway (it’s an Instagram of me on the dock enjoying a Growers Pear Cider) and tag a friend in the comments who you’d like to share a Growers Pear Cider with. 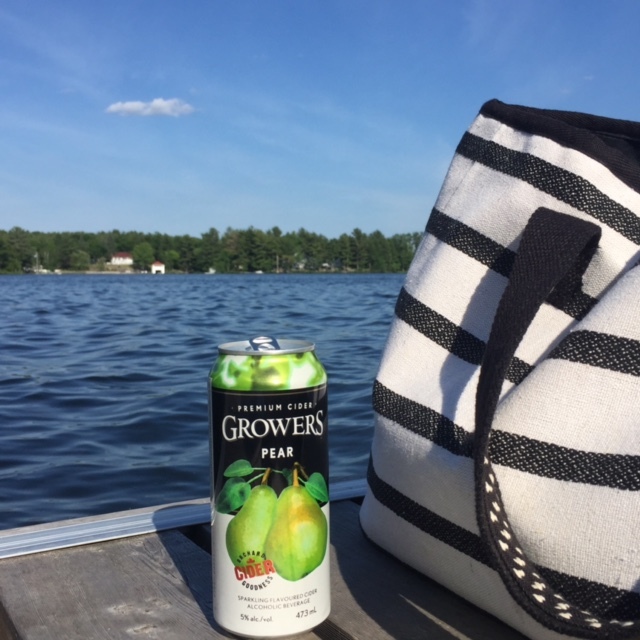 Facebook: Like the Health and Swellness page on Facebook (at the top of the page), and then leave a comment on the photo of this Growers giveaway — tell me where you’d like to be enjoying a Growers Pear Cider this summer. Each prize is valued at $100 and the giveaway will close at 11:59 p.m. EST, Thursday, July 14. 2016. Please note that this giveaway is open to Ontario residents only. The three winners will be chosen at random. If I cannot reach the winner within five days, another winner will be selected. The three winners names will be announced on the blog here on this post once confirmed. Can’t wait to see if you win this giveaway to try Growers Pear yourself? 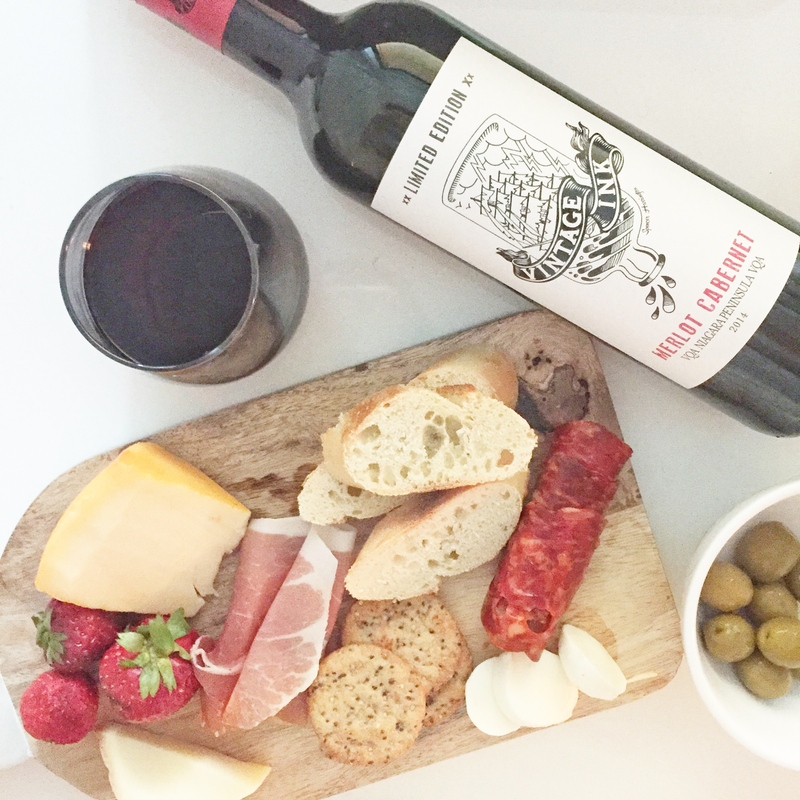 It can be found in the LCBO and Wine Rack aisles. The two winners of this Growers giveaway are Laurie S. and Christina D., congrats!